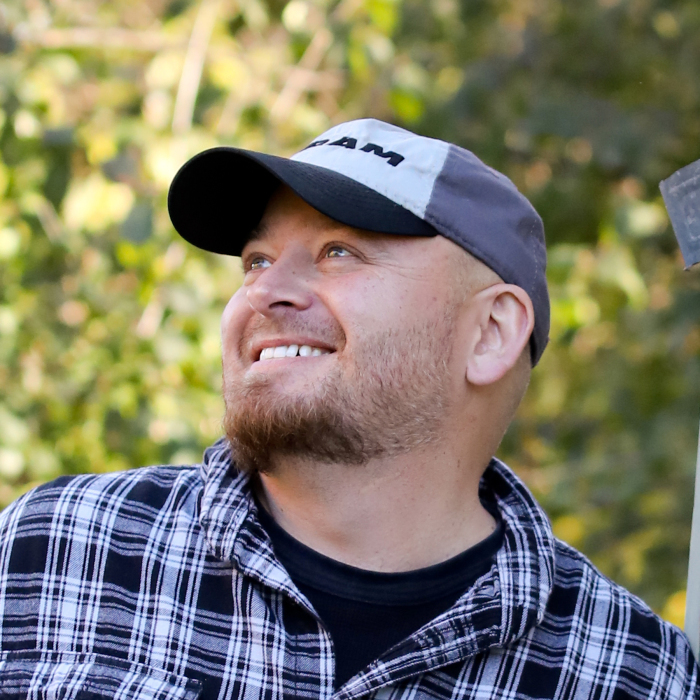 Aaron Michael Kubicki, 41, passed away peacefully with family by his side on March 28, 2019 at Cherry Meadows hospice after an 11 year battle with brain cancer. Aaron was born on March 16, 1978 in Milwaukee, Wisconsin. He grew up in Oshkosh, and graduated from Oshkosh North High School in 1996. Through the years he was employed with Pommerening Auto, Evergreen Nursing Home, and Rogie’s Food Service. He enjoyed science fiction, Marvel comic books, scary movies, and vintage cars. He owned his own home at the age of 18 and enjoyed working on his cars and house. He restored a 1971 Dodge Demon himself in his 20s. Aaron enjoyed the simple comforts of a good meal shared with family. He lived his life with a strong belief that you should never compromise who you are, and to always unapologetically be yourself. He had a contagious laugh and a passionate heart. In his last months, he taught his family that it is still possible to laugh even in the hardest of times. Aaron adored his daughter, Lilly. He knew his time with her was precious and shared his passions by visiting the comic book shop, fishing, riding bikes, playing video games, and cooking her favorite meals for her. Aaron is survived by his daughter Lillyanna Kubicki, grandparents Jenny Wisniewski, and Lou and Lorraine Graef, parents Gregory and Diane Kubicki, siblings Kate (Sam) Kelch, Luke Kubicki, Henry (Jordan) Kubicki, niece and nephew Meadow and Charleston Kelch, and many special aunts, uncles, cousins, friends, and his Chiweenie Starry. He is preceded in death by his grandparents Henry and Naomi Kubicki. Through his experience with brain cancer, Aaron received support from the Fox Valley Brain Tumor Coalition and participated in their Journey of Hope Walks held in September. He would be honored if his friends and family would continue on the walk to support others with this disease. Gathering of friends and family will be held on Tuesday April 2nd at Kessler Funeral Home at 304 S Commercial Street in Neenah from 2pm until the time of service at 4pm. There will be time for sharing of memories of Aaron during the service. His family would like to thank the team of people who have showed such kindness towards Aaron during his long journey: the amazing staff at UW Madison including Dr. Steven Howard and Dr. Ian Robbins; Thedacare at Home Hospice, especially nurse Paige and caregiver Kathe who became Aaron’s friends; the caring staff of Cherry Meadows, and Dr. David Schiedemeyer.